One thing an entrepreneur or business owner needs in a place to get all their work done and goals accomplished and commercial properties provide those types of people with a structure to do just that. But before someone ever sets foot inside that property, what is the first thing they're going to see? 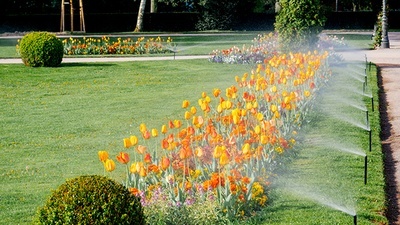 The landscaping. It may not seem like a big deal, but the outside visual gives potential customers, investors, and employers their first look into what they're going to walk into. Patchy grass with dirt where grass should be or an overly soggy walk from their car to the front door could be a contract killer for their business. We ensure your business looks immaculate before they even open the front door. Besides the visuals given to guests of said properties, our irrigation systems set up for commercial properties can save a ton of money! Whether it is for a business, HOA, or property managing, we will adjust everything to your needs and then some. 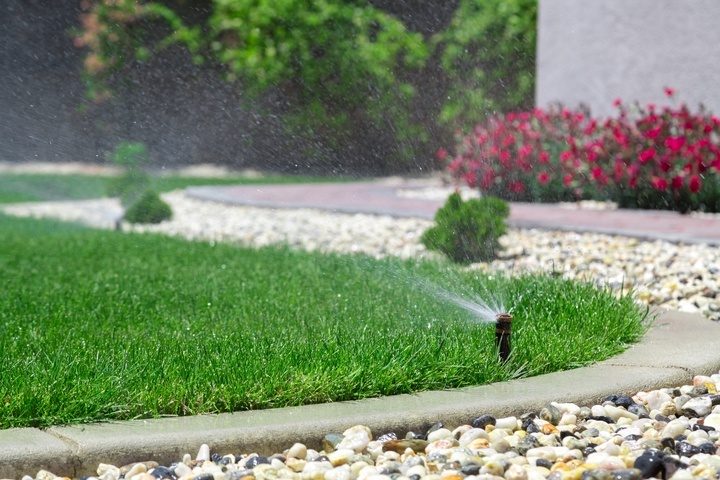 We follow water regulation rules, which can vary from county to county, and make sure your lawn is full and fresh and looking perfect! The same tailor-fit and personal work we provide for residential areas, we offer for commercial properties as well. 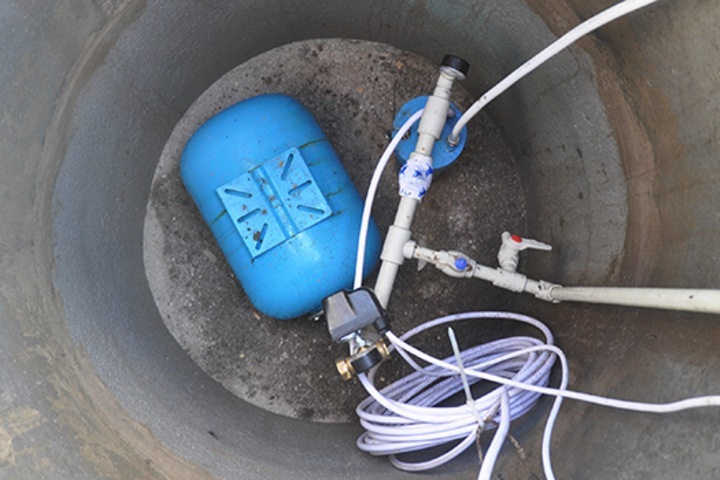 No matter what you need, whether it is a full installation, new valves/pumps/pipes/sprinkler heads, even wiring; we've got you covered. Don't hesitate; call us today for estimations, future planning, and available warranties. 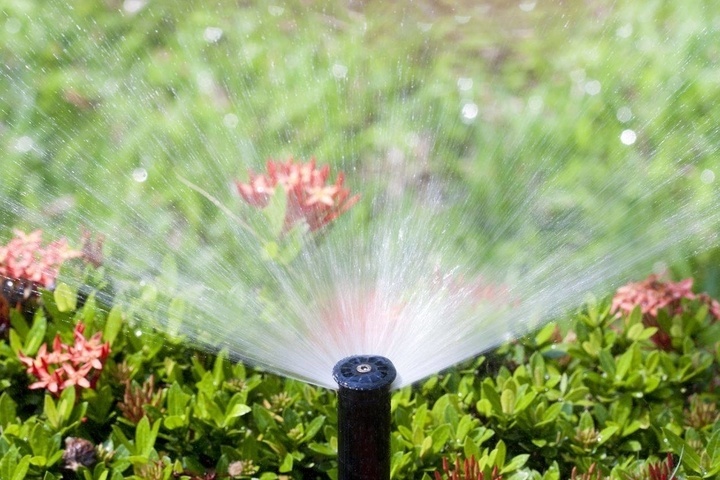 For information on commercial irrigation services in Central Florida, please call (407) 404-4004 or use our online contact form to send us a message. 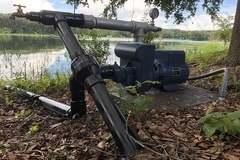 Commercial pump pulling from lake for irrigation.